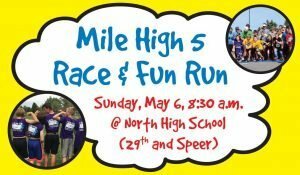 We are overwhelmed by the generosity and hard work of the Mile High 5, a group of kids from Denver North High School and Skinner Middle School who raised more than $8000 through the Mile High 5 Race and Fun Run in May! The race was held honor and memory of their friend Cooper for the second year in a row. 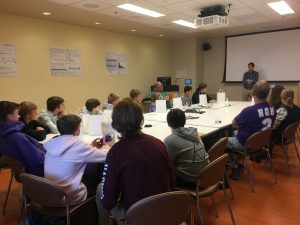 These kids went out and got sponsorships for the event, created their own t-shirt design (that they also screen printed by hand themselves on weekends! 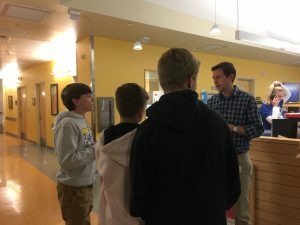 ), and worked hard to spread the word throughout their schools, neighborhoods, and larger community about the need to fund kids’ cancer research. 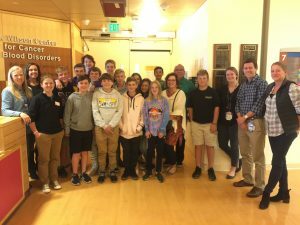 We had a great time with them at Children’s Hospital Colorado in late October where they heard from Dr. Adam Green about the difficulty of treating DIPG brain tumors and how the funds they raised will help future kids with cancer. 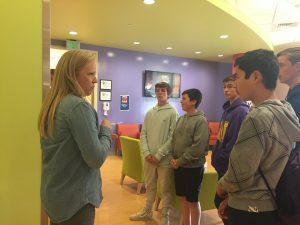 We celebrated their hard work with cupcakes and MAF goodies, and also took a tour of the 7th floor Center for Cancer and Blood Disorders with Dr. Green and Molly Hemenway, certified pediatric nurse practitioner in the CCBD. Donations can be made in honor of Cooper by clicking here.